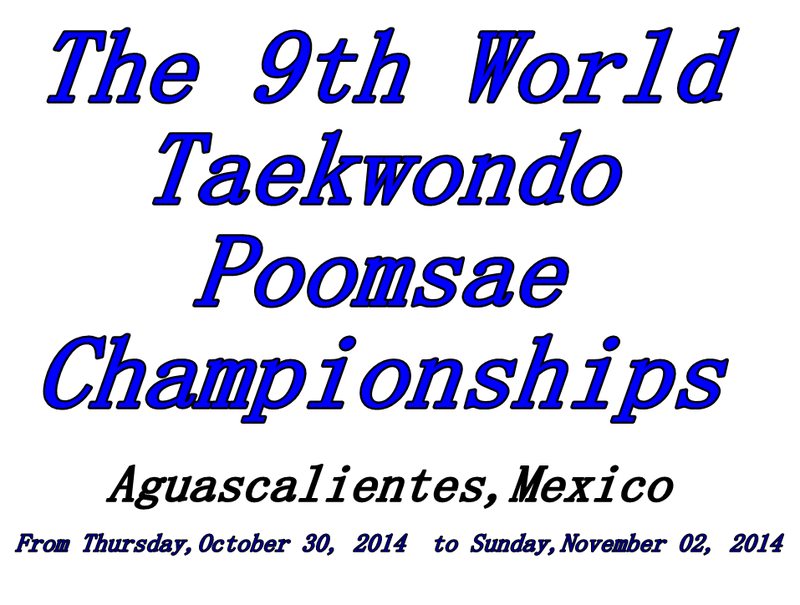 The 9th WTF World taekwondo Poomsae Championships will be held from Thursday, October 30, 2014 to Sunday, November 02, 2014 in Aguascalientes, Mexico. This edition will include Cadet division and also under and over 65 years old division. About the Freestyle poomsae that was first time launched in Columbia and had a good success, it will be held in two categories/divisions (under and over 17 years old). The WTF World Taekwondo Poomsae Championships, is a new competition that started few years ago, but it became so popular and got a huge audience, also this competition has encouraged many retired athletes in Kyorugi and also some older Grand Masters to come back to lights and participate again! GM Kyu-Hyun Lee is a good example of those Grand Masters who came back to competition, aged of about 70 years old, the GM Lee is still making a good performance, and inspiring the old generations that Taekwondo is for everyone, no matter their age. Cadet Division competitors (12-14 years old) should wear a white top with black and red collar for males and females, while the blue pant will be for males and red one for females. Junior and Seniors Division competitors (15 to 50 years old) should wear a white top for both females and males, while the dark blue pants will be for males, and the light blue pants for females. a yellow top and dark blue pants for both females and males. Thank you for reading, and we promise to be back to you in the next events.